What Is Online Marketing and Why is it Important? The internet is expansive and keeps getting bigger every single day. With over 4 billion people using the internet in 2018, you know there are a lot of pages, blogs, and other media out there. Without an effective approach to marketing and a strategy to single out the people you want to buy from your business, you won’t succeed in such a competitive environment. Fortunately, a little know-how about online marketing goes a long way. There are many names for online marketing, including internet marketing and web advertising. 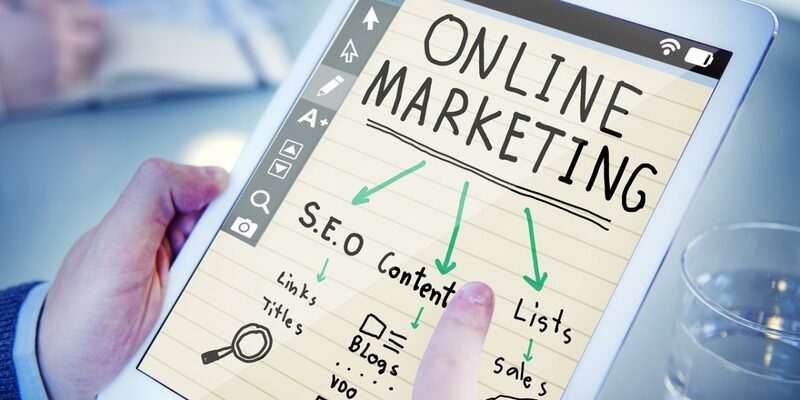 Though the meaning is probably obvious, online marketing is all about using the internet to spread promotional material and messages to your target audience. By using channels like email, websites, blogs, social media, and search engines, online marketing strategies seek deliver information that persuades people to seek more and buy from a business. What does an internet marketer do? Internet marketers use strategies include search engine optimization (SEO), social media, email, pay-per-click (PPC), web design, and other internet-related methods to deliver content to a targeted demographic. The main goal is to drive up conversion rates. How does an online marketer cultivate brand loyalty? Effective marketing strategies will also bring about new customers. Through social media ads, quality content, a pleasant UI and UX, and high-rankings with search engines, the core demographic you desire will come. But there is more to online marketing than just attracting new people. A decent strategy will also have measures in place to ensure that people keep coming back, such as social media engagement, campaigns, loyalty rewards, email subscriptions, discounts, and continuously updated blogs. Marketers will also post surveys and write online press releases to generate interest and maintain brand loyalty. What about mobile internet marketing? Nowadays, most of your target audience will be using mobile phone searchers first to locate your business. Therefore, mobile marketing is just as important as other parts of your online marketing strategy. Focus on messaging, mobile applications, and smartphone websites. If you ignore mobile platforms, you’re doomed. Does internet marketing involve blogging? Not necessarily, but you shouldn’t overlook the advertising power of an excellent blog. Though blogging is called “content marketing,” blogs deliver content that is helpful for boosting your brand image and identity. By using videos, podcasts, galleries, and written word, you will be able to distribute your content throughout the internet without doing much more than thinking up creative, useful content. What social media channels should be used? That depends on the business identity. Not all social media platforms work for all niches. However, you should always first consider top channels like Instagram, Twitter, Pinterest, Facebook, and LinkedIn. With a little research, you should be able to determine where the target audience spends most of their time. From there, you prioritize those set social media streams. In the end, internet marketing strategies work best if you integrate a number of marketing strategies that are keyed into the target demographic. By having quality content, a decent outreach program, and a seamless UI and UX, you will not only attract new people, you will maintain a consumer base too.